At Anuvia, we believe that being green goes beyond healthy grass. 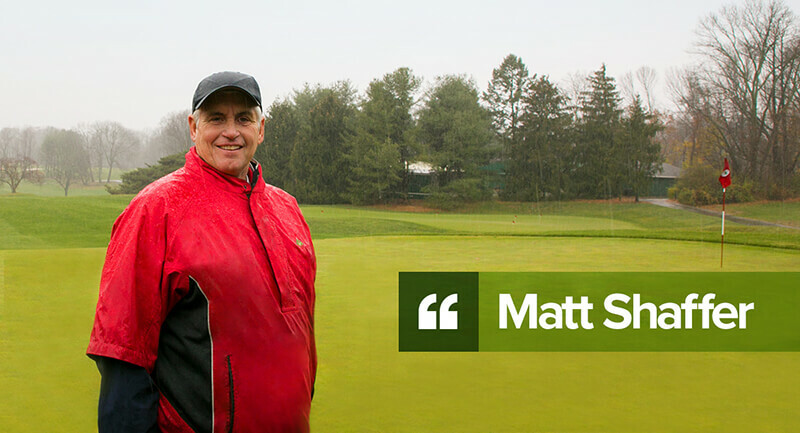 That’s why we created GreenTRX 16-1-2-17S-2Fe, an enhanced efficiency, bio-based plant nutrition product that uses the power of the Organic MaTRX to deliver the nutrients your turf needs, while also working to enrich soil and work for a better environment. Like all of our products, it supports the 4R Nutrient Stewardship initiative and industry initiatives to better manage nutrient delivery. Our intermediate and elite granule sizes are made especially for golf course superintendents. Like our standard-size granules, they can be easily applied using standard equipment and will keep delivering the nutrients your turf needs for six to eight weeks. At Anuvia, we’re excited about our new technology and new products. 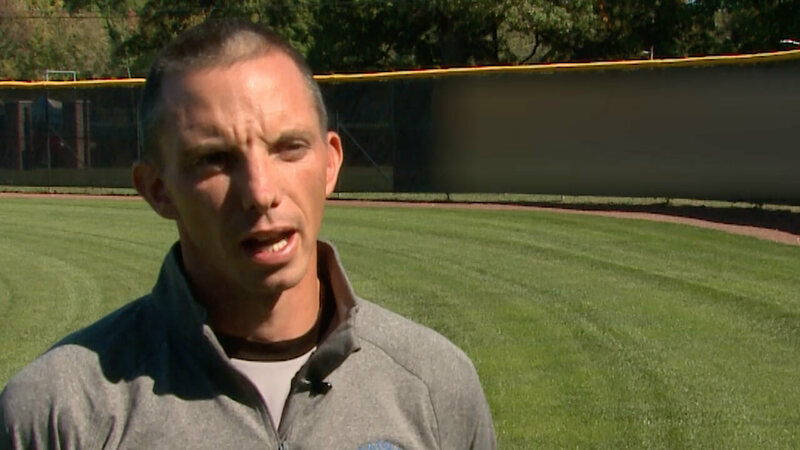 The potential they have to grow strong healthy turf and improve soil health is tremendous. This has been demonstrated by commercial use over the last year. We continue our research on our products to understand how we can address the needs of the turf industry. 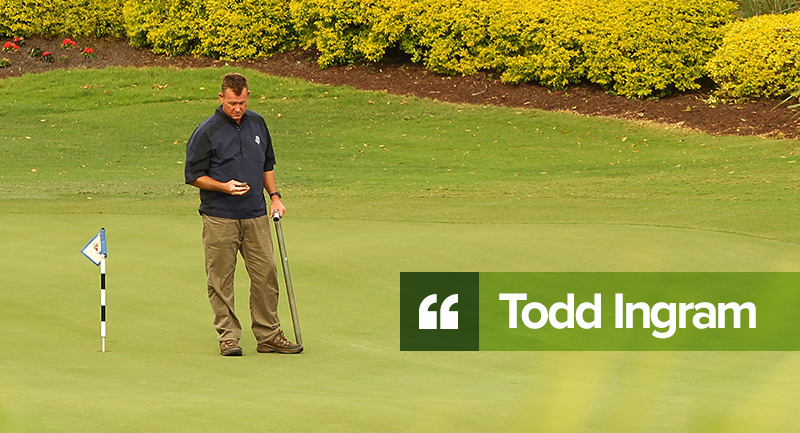 Research on our products has been an on-going process with trials on various turf species. This is an overview of some of the major trials that have been conducted. Anuvia’s Organic MaTRX represents a novel mechanism to deliver nutrients efficiently reducing loss to the environment. This new approach to delivering plant nutrition improves soil health, reduces volatilization and provides nutrients as plants need them. The following studies, explore that potential. NOTE: The most commonly accepted measurement of soil health is the CO2 emission test. It measures CO2 given off by soil microbes. Higher emission levels signify more soil microbial activity, which leads to better soil health. 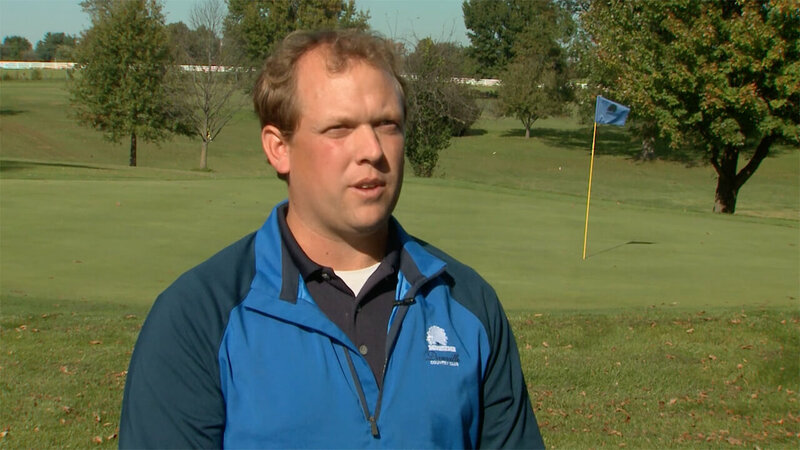 Dr. Sartain conducted a CO2 emission study comparing Anuvia’s GreenTRX (16-1-2-17S-2Fe) to ammonium sulfate. A nonfertilized control was included to estimate native soil microbiological activity and provide a baseline. CO2 emissions were approximately double (93.9%) the ammonium sulfate emission levels. 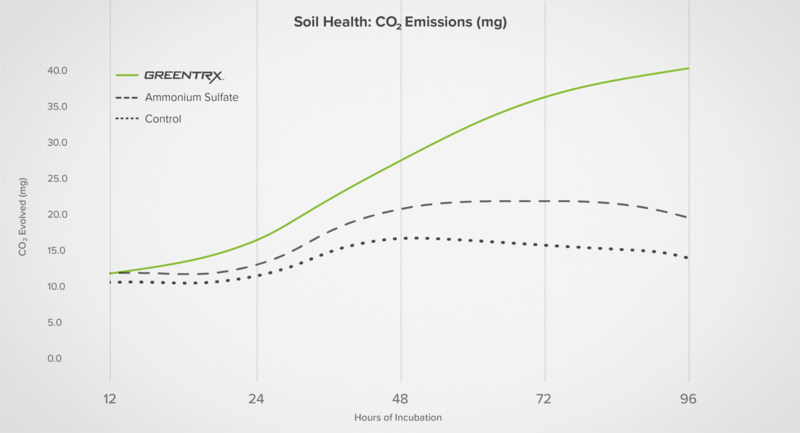 This data suggests that the GreenTRX is much less harmful to the microflora and results in higher activity and improved soil health. The enzymes and amino acids in GreenTRX may be contributing to increased microbial colonization as evidenced by the much higher levels of CO2 emissions compared to the control. Dr. Lowe measured the conversion of ammonium nitrogen to nitrate nitrogen for urea, urea with NBPT and Anuvia products. The conversion of urea to the nitrate form is rapid as shown in the urea graph. Nitrogen in the nitrate form is subject to leaching whereas nitrogen in the ammoniacal form is less likely to leach. 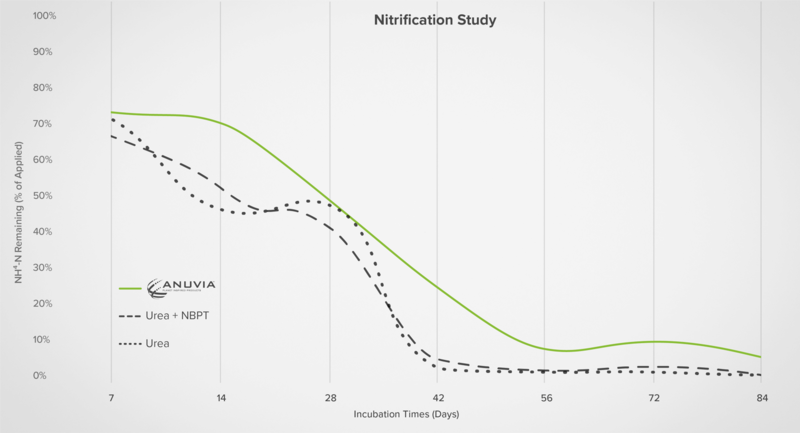 The NBPT was superior to the urea alone by delaying the nitrogen conversion but the Anuvia product maintained the ammoniacal form longer for higher potential nutrient utilization by the plants. 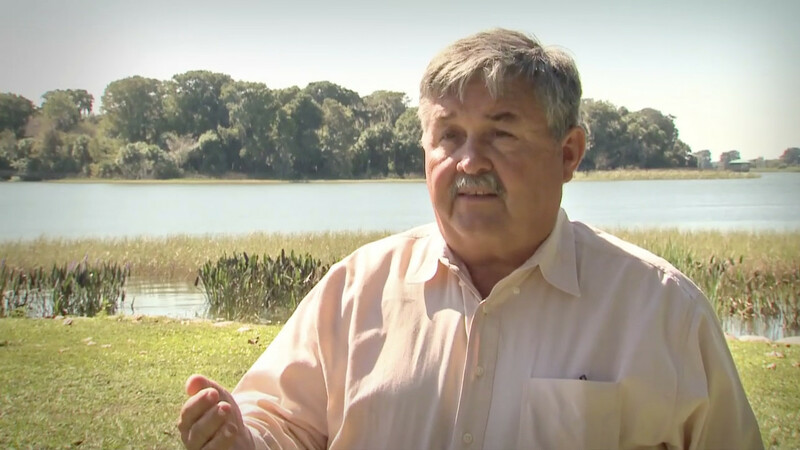 Dr. Sartain conducted a 182-day dissolution study using GreenTRX. The GreenTRX released ~65% of its nitrogen in a sterile soil in the first two weeks as shown by the green line. 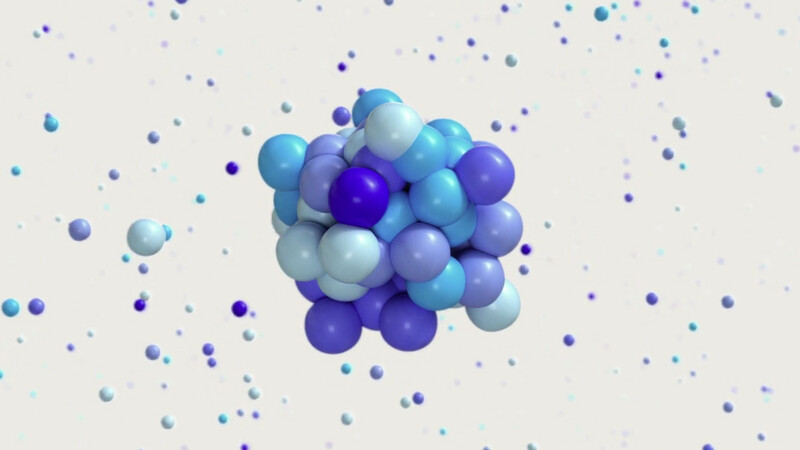 This represents the water soluble portion on the nitrogen in the absence of soil microflora. Very little of the remaining nitrogen is released under this sterile soil condition. The black dotted line represents the nitrogen release in the presence of low levels of soil microflora as would be found in most soils. The area between the lines represents the nutrients released due to microbial activity. 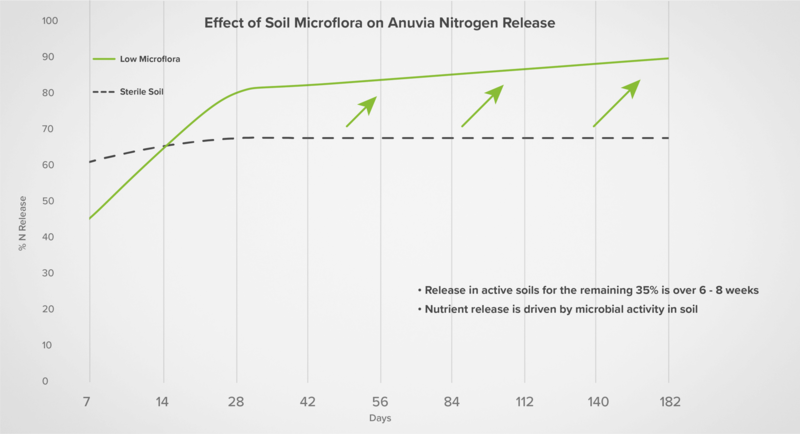 The study validates the claim that ~35% of the nitrogen in the Anuvia products is slow release. The rate of dissolution would be influenced by soil temperature or other factors that would affect soil microbial activity.